For a complete listing of upcoming Classes and Workshops, please visit our Events Calendar too. Below are weekly happenings that happen every day at Pow!Science! 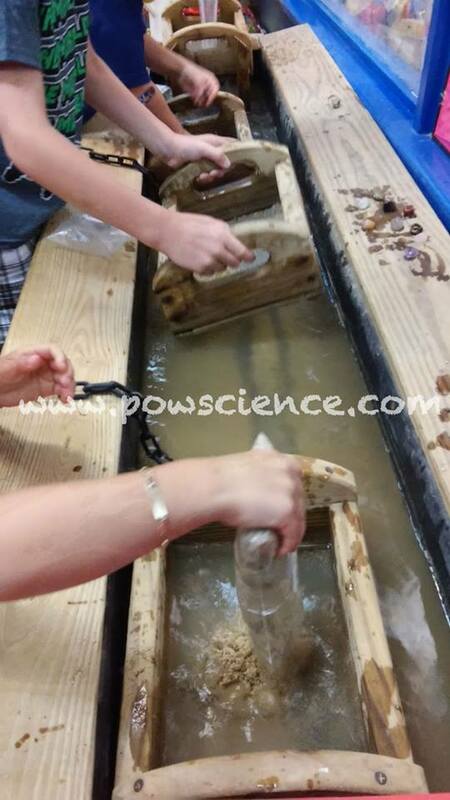 We have an 8 foot running water mining sluice where your child can pan for minerals and treasures! The mining sluice is available on weekdays and we have special pricing for materials on Mondays! 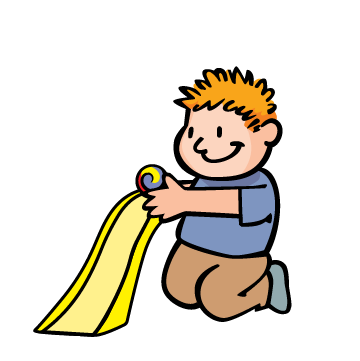 Please note, if your child finds gold it will actually be pyrite or "Fool's Gold" - but they'll still have a great time! What Can Your Child Find When Mining? On Mineral Mining Mondays all Mining Bags are 2 for $6.00! Click here to check Mineral Mining Monday times! 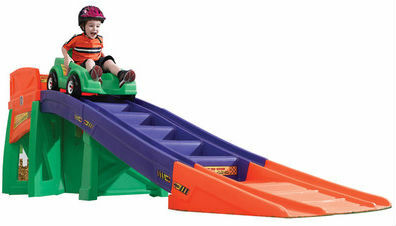 On Tuesdays we set up the indoor EXTREME COASTER for your little Daredevil to Ride On! If there is more than one child using the coaster please make sure to take turns. Feet and Hands Remain in the Coaster Car at all times. Roller Coaster Tuesday is a Free, weekly Event. Helmets are optional at parent's discretion & are available for use during Coaster Play. Just ask at the front counter! Click here to check Roller Coaster Tuesday times! 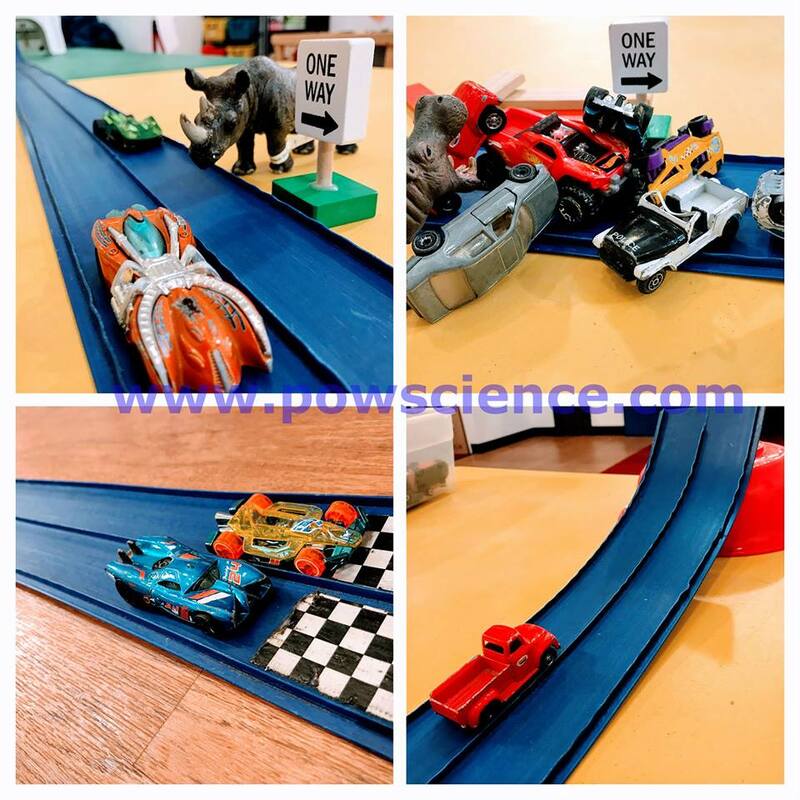 Once a year(every February) we set up ridiculously complex Hot Wheels & Blu Track Displays, but every single Wednesday we break out the Tracks in the Activity Room for you to play with! Bring your own Cars to try on our Track or borrow ours. Whether it's jumps, loops or turns, it's guaranteed High Speed Fun at Hot Wheels Wednesdays! Click here to check Hot Wheels Wednesday times! Every Thursday come sign out one of our various board games found at the registers and play with your family in our Activity Center! Come test out a board game you've always wanted to try, one you've never played, or a favorite you've played a gazillion times! And remember you play for FREE! 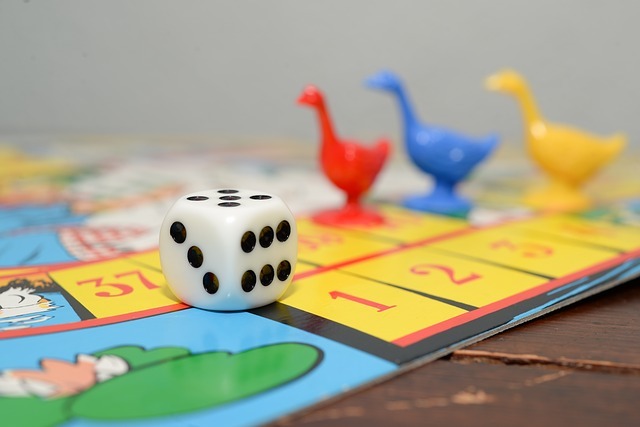 Click here to check Family Game Day Thursdays times! Our longest running weekly program! KinderScience is a weekly class featuring fun, Hands-On Science for kids 2.5 to 5 years old and their Grown-Up Lab Partner to do together! We meet each Friday at 10am. Pre-registration is never required - just pay $5.00 per participant at the front counter. Not sure if your little one is ready? Bring them in and try everything for free. If they like it and participate, you can pay on the way out. If not, no worries; come back and try another time! Click here to confirm KinderScience Friday times!